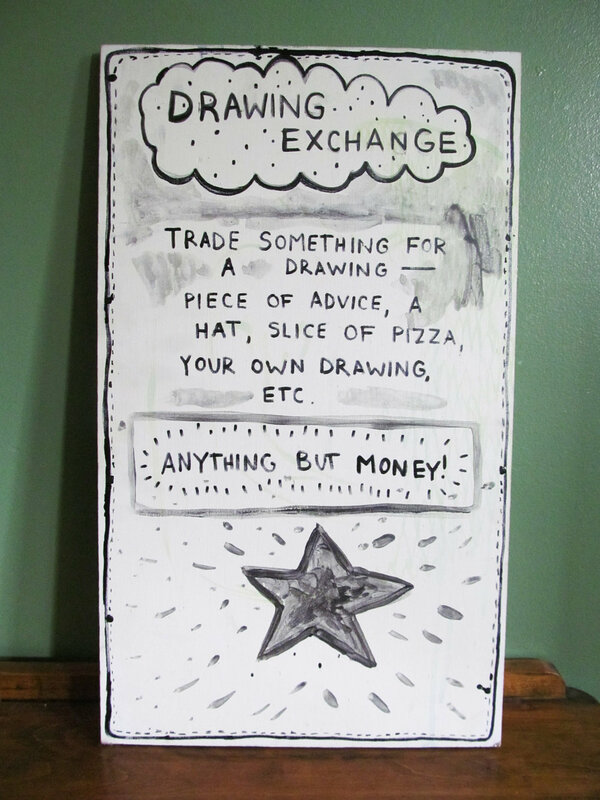 Drawing Exchange was a way for local community members to own a piece of artwork through alternative exchange. A table was set up at East Side Market, a local farmer's market in Lancaster, PA. Visitors had the opportunity to sift through a box of drawings, pick the one they wanted and exchange something they deemed of equal value. Anything of course, but money. Throughout the day, drawings were traded for ten DVD’s, a library card, an expired Driver’s License, a matted photograph, a brownie, a comic, a zine, six anti-fracking pins, a drawing of a jalapeño and a blessing (not shown).